In which the final Secret Wars X-book comes to a close and we have some pretty cool stuff going on. Art by David Wynne. Prints and cards available until 11/1/2015 at the shop, or contact David to purchase the original. We’re going to be guests at Vegas Valley Comic Book Festival on November 7! Come say hi, buy cool stuff, and be part of our second-ever live episode! The first episode of the Secret Convergence on Infinite Podcasts launches THIS THURSDAY, October 29, on FanBros! For more info, check out the announcement, and be sure to follow the Convergence on Twitter and Tumblr for host profiles, updates, and more! NEXT WEEK: All-New X-Men, with Dennis Hopeless! The Secret Convergence on Infinite Podcasts begins THIS THURSDAY, October 29! In which we go back in time to take a look at two annuals; everyone is really excited about Excalibur; Claremont ups his illusion game; Horde should probably not be allowed to dress himself; Rachel fires the X-Men; Havok needs better role models; Psylocke’s secondary mutation is femme power; Kyle X-Plains giant monsters; we check in with Super Doctor Astronaut Peter Corbeau; and you should totally come see us at Vegas Valley Comic-Book Festival on November 7! 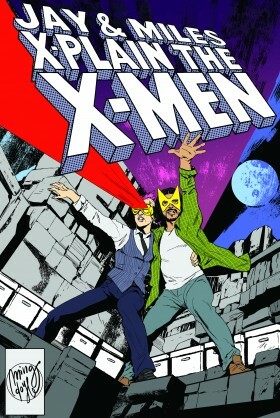 NEXT EPISODE: All-New X-Men with Dennis Hopeless! In which Age of Apocalypse is hella anticlimactic, but at least we’ll always have Hopeless Savages. Extra-fancy sunglasses courtesy of the amazing Anna Sheffey.